Wild Flower and JoyBelle are our dogs and the best of friends. The sires we use are hired studs, though we are considering buying/raising our own studs in the future sometime. Wild Flower is a very sweet Momma. She has a calm though fun-loving personality. Because of her genetics, her puppies can have a variety of colors, though each litter generally has one color. Wild Flower does not have any black or brown bloodlines. JoyBelle is our bouncy, happy, people-loving puppy. She is a great momma to her puppies and loyal follower of Wild Flower. She has had her first litter of puppies in January, 2018. Silus is the intelligent, gorgeous, hired stud we use for Wild Flower's standard litters. He has a very sweet-tempered personality which he passes on to his offspring. He has champion bloodlines from the 3rd generation. 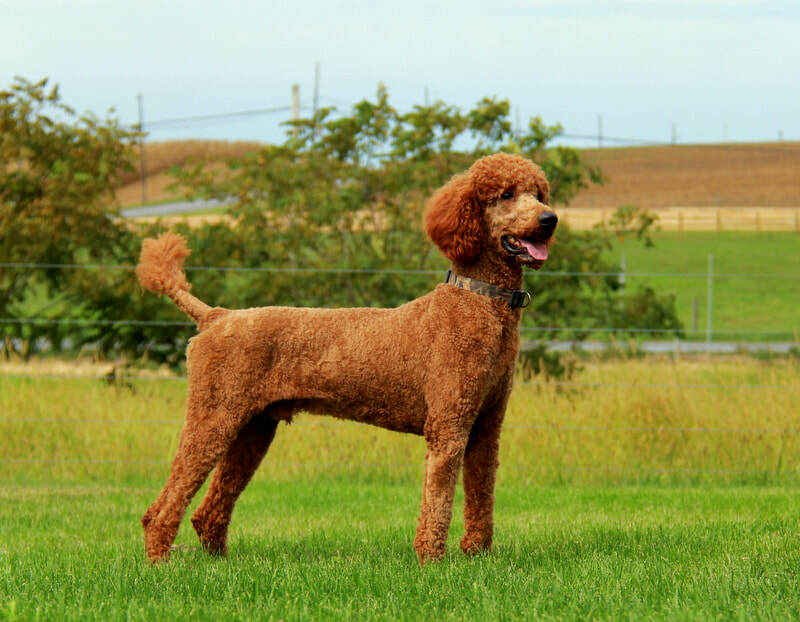 Silus as kept is stunning red color better than any other Poodle we know of. His puppies are always a 'wow,' rich, deep red! Duke has the elegant Poodle gait. Being one of the most loving dogs ever, his temperament is truly amazing. He is rather laid-back and calm but still very fun-loving, making him a perfect sire. 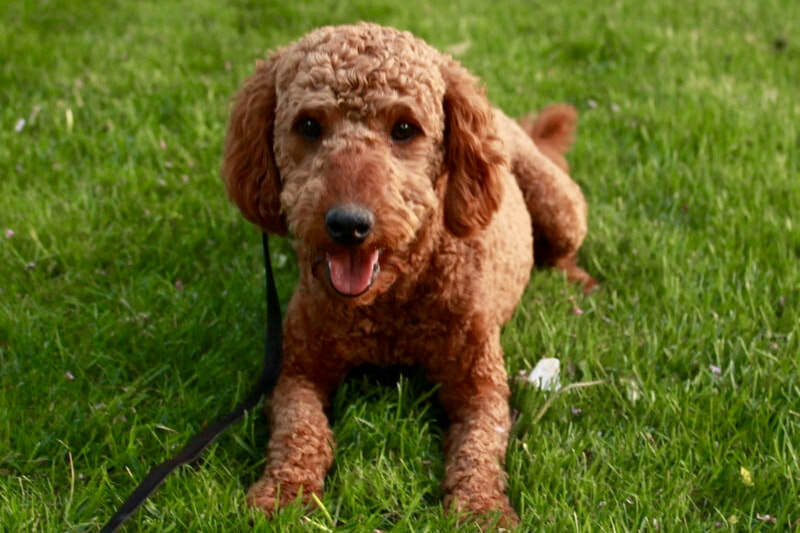 Duke is a Moyen (25-40lbs) Goldendoodle. The size Moyen is really pretty cool. It's bigger than Mini, but smaller than Standard. ​for the first time with JoyBelle for mini F2b puppies!